Welcome to the West Coast, where love is state-of-the-heart. 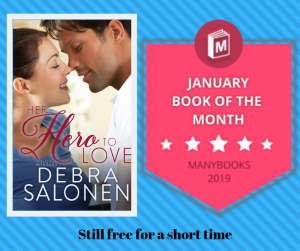 Debra Salonen’s West Coast Happily-Ever-After Series: Books 1-3 includes three full-length, stand-alone romance novels with sigh-worthy endings. HER FOREVER COWBOY (Book 1) – What if one summer isn’t enough? Life—and death—have conspired to give Anne and Will a second chance to rekindle their first love. Will single mom and New York businesswoman Anne risk everything she’s worked to achieve for a cowboy who puts his life on the line every time he gets on the back of a bull? NEVER SAY NEVER (Book 2) – Some second chances come with big secrets. Moviemaker Joe lost Lisa—the girl next door, his first love–to his twin brother, the charismatic wild child whose death left Lisa pregnant and unmarried. Eighteen years later, Lisa struggles with old ghosts, a big secret and the possibility her son’s biological father is still alive. CALEB’S CHRISTMAS WISH (Book 3) — How far would you go for the sake of a child? Miami financier Jake Westin’s world implodes when Allison Jeffries—a Fresno computer whiz he’s heard about for four and a half years but never met—calls to tell him their mutual friends died in a car accident, leaving behind Caleb—the godson they share. Can a child’s letter to Santa be the spark that unites two strangers? Buy the West Coast Happily-Ever-After Series, Boxed Set #1 to immerse yourself in today’s west, where love never backs down from the challenges life throws its way, and every happily-ever-after is satisfyingly well-deserved. 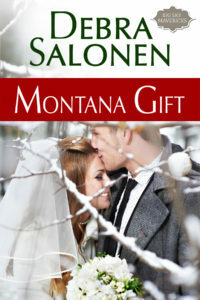 Debra Salonen’s West Coast Happily-Ever-After Series Books 4-7 includes four heartwarming romance stories that come with all the trimmings: kids, horses, dogs, cats, and, of course, a potbelly pig. A Baby After All (Book 4) – When divorce is the answer, maybe two people in love need a new question. Casey and Nathan Kent fell in love, got married, and promptly got so caught up in the business of life they lost track of each other. Are they husband and wife…or strangers living in the same house? Their love is still there, but can they find it beneath the barrage of turkeys, a barracuda in stilettos, fairy shrimp and endangered salamanders? Love, After All (Book 5) – A match made in heaven? In what universe? After lawyer Gwyneth “The Barracuda” Jacobi’s very public loss in San Francisco, she’s handed the ignoble job of helping a wealthy do-gooder with a Don Quixote complex save an old lady and her pig. People call Arley McNamara a trust-fund misfit who tilts at windmills. Can a man who has never lacked for anything—but love—convince a by-the-book lawyer to bend a few rules for the greater good? Love, after all, demands the kind of truth only an honest heart can answer. That Cowboy’s Forever Family (Book 6) – Can a woman who’s given up on love help a single dad reconnect with the daughters he thought he’d lost forever? Ranch foreman Tom Butler loved his ex-wife enough to let her go when ambition lured her to L.A., but he never stopped loving their two daughters. His rustic lifestyle in the Central Valley added light years to the distance between them until the day tragedy struck. Tom may not be the dad his daughters know, but he’ll do anything for his family—even ask for help from a beautiful stranger. Victims advocate Abby Davis can’t turn her back on two brokenhearted children and their beleaguered father, but can she do her job without losing her heart in the process? Forever and Ever, By George (Book 7) – Even the dog knows the importance of happily-ever-after. Sometimes, a dog’s gotta do what a dog’s gotta do. Paws Spa owner Kara Williams loves her animal clients–especially Brad Ralston’s Great Dane, George. But recently divorced men—no matter how attractive—are Kara’s kryptonite, and the single mother of twins keeps her distance…until a storm takes the roof off her coastal Oregon home. Restaurant owner and chef Brad desperately needs a live-in housekeeper. If she comes with two little girls and a bunny, so be it. Twice burned, Brad’s heart isn’t part of any business agreement…unless a matchmaking Great Dane has his way. Buy the West Coast Happily-Ever-After series, Boxed Set #2, to immerse yourself in today’s west, where love never backs down from the challenges life throws its way and every happily-ever-after is satisfyingly well-deserved.